THQ Thought of Wii U Controller "18 Months Ago"
Nintendo's new console controller is pretty unique, but THQ apparently came up with the same design a while ago. 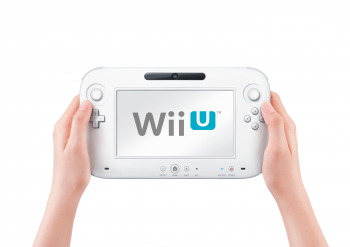 One of the biggest stories out of E3 this week was Nintendo's new console, the Wii U. One of the most interesting things about the Wii U is its controller; whether the controller is any good remains to be seen, but it's certainly an interesting design. That said, its design wasn't that surprising a revelation to some folks in the industry. Case in point: THQ claims that it thought of the same thing over a year and a half ago. "None of this is a surprise. As you know, we thought of it 18 months ago and released it last season. "We think we're really on the front [of the console accessories market] and well poised to exploit this because we've already been playing with the drawing mechanic and we've got a lot of game designs in the pipe. It's only going to get better with that experience." THQ's peripheral has shipped 1.7 million units of the tablet; it's been so successful that the publisher is working on versions of it for the 360 and the PS3. However, it should be noted that Nintendo probably came up with the idea for this type of controller first, seeing as how the console's been in the works for years.